Electric Adventures began in the mid-eighties when I had put together a number of titles and needed a name to start publishing them under. Starting out with titles written entirely in Basic for the Spectravideo SV-318 and SV-328, I progressed to Basic programs with some machine code extensions e.g. 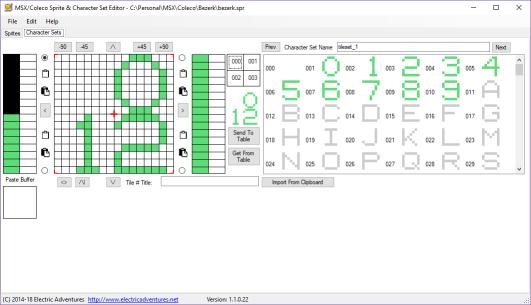 Video Graphitti uses a machine code routine to smoothly capture the mouse position and update the sprite used for the drawing cursor. This allowed the user to draw fairly fine curves. Next I moved on to games written entirely in machine code, they included clones of Asteroids, Pheonix and Pacman, and an original title Pyxidis (yes another vertically scrolling shoot-em-up). In more recent times, I have felt the urge to try things that I could not achieve back in the day so have expanded development first to converting a number of titles to the Colecovision, followed by completely jumping platforms and developing titles for the original Nintendo Entertainment System (NES). I have also developed a number of Cross Platform development tools, sharing them with the community, along with a set of Videos on my Youtube Channel, so others can get started in writing new games for older systems. Coupled with these new platforms and my joy of all things retro, I have built up quite a large collection of Retro Consoles, Computers and Software. 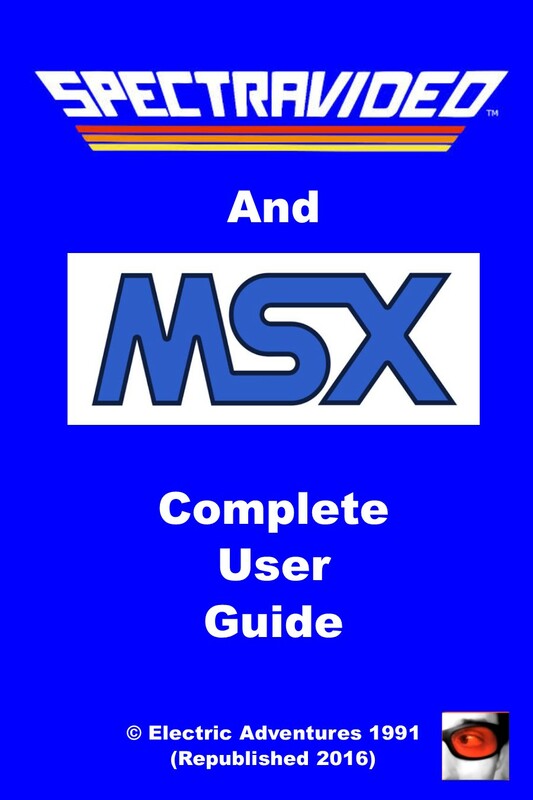 I have released a revised/updated version of the book I released in 1991 for both the original Spectravideo and MSX machines, called Spectravideo & MSX Complete User Guide. I used all of the original text with minor edits, added six articles I released in two different magazines called 'Beyond Basic' and it has been published as both a Printed and Kindle eBook. 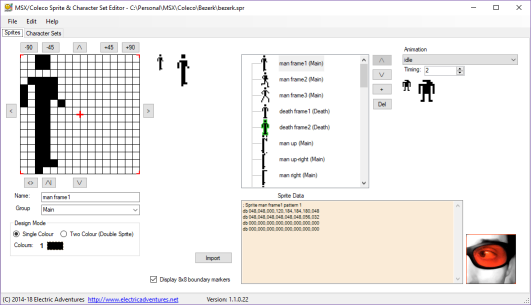 All Basic based games are available for download for MSX, hopefully I will also be able to include download links for the original Spectravideo in the future..
Join me as I work through the steps required to make a home brew game for a retro 8-bit console or computer system. In each episode I will work through various topics, such as tools, methods and design. Each episode has a tutorial video and downloadable source code and article to work through.. This website includes numerous digital copies of magazines and software produced in Australia for both the original Spectravideo and MSX computers. I am working on a number of new releases (home brew titles) for a number of systems including the MSX, Colecovision, Nintendo Entertainment System (NES) and original Spectravideo. I am working on the Colecovision version of Berzerk! "The humanoid must not escape"
The end goal is to make a near-arcade (like all other Coleco games) version of the game. So, phase one is the have the game 100% compatible with a stock CV with minor speech. 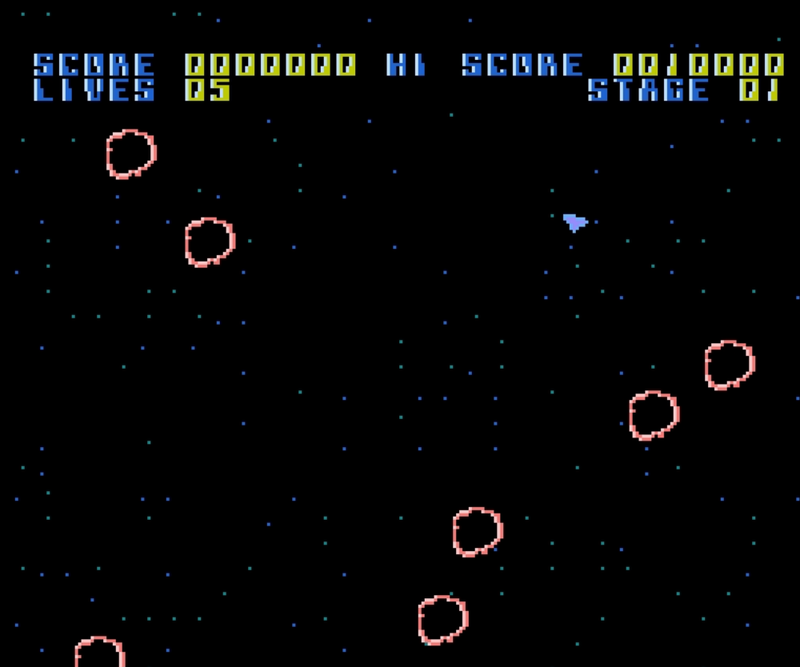 Meteor Swarm was one of the very first games I wrote in Z80 assembly language for the original Spectravideo. Later I ported it to the MSX range of machines, both of these versions were released on cassette tape. Whilst programming the Game On Expo Championship cartridge, I added a basic port of the game as the third mini-game. It was ported as is i.e. 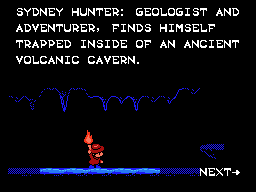 did not really take advantage of any of the NES's particular features. 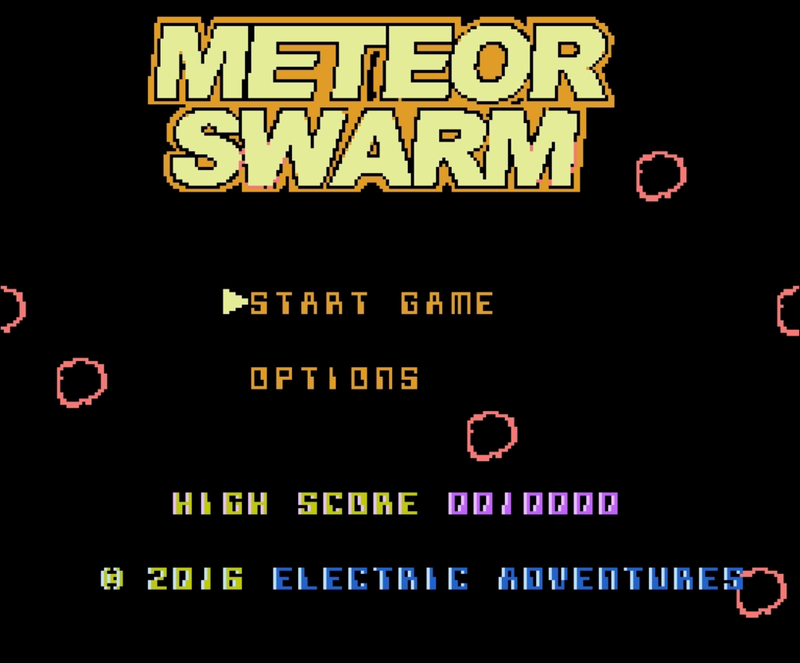 Meteor Swarm for the Nintendo Entertainment System (NES) is now available to order as a physical cartridge from the CollectorVision online store.